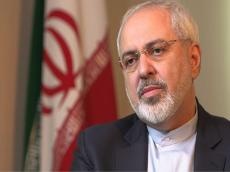 Iran’s Foreign Minister Mohammad Javad Zarif headed to Istanbul Thursday evening to attend an emergency meeting of the Organization of Islamic Cooperation (OIC) on terrorist massacre of Muslims in New Zealand, Trend reports citing IRNA. The meeting will be held on Friday to condemn the attack on two mosques in Christchurch, which left at least 50 worshipers dead and wounded dozens others last Friday. Turkey’s foreign ministry said in a statement on Thursday that Foreign Minister Mevlut Cavusoglu would chair the meeting. Representatives from the UN, the European Union, and the Organization for Security and Cooperation in Europe (OSCE) have reportedly been invited to the event. The emergency meeting comes following a phone conversation between Zarif and Cavusoglu earlier this week, in which they censured the "heinous crime". Among the victims of the terrorist attack were nationals from Syria, Jordan, India, the United Kingdom, Saudi Arabia and Egypt.